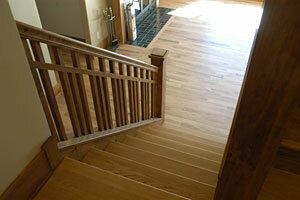 Burke County has been home to Richard Conway, founder of All Wood Floorcraft since 1985. His hardwood flooring business, All Wood Floorcraft, provides the highest level of professionalism, experience and training in the region. All Wood Floorcraft is unsurpassed in value provided, quality of service, materials and the very latest "state of the art" equipment available. 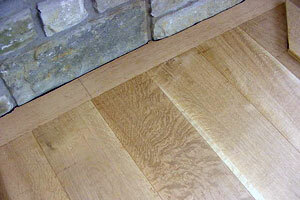 All this enables Richard and All Wood Floorcraft to offer a virtually dust free refinishing on the floor sanding process. Richard has more experience in dust containment than any other wood floor professional in the United States acquiring the very first Dust Containment System offered for sale in the North America over in 1994. 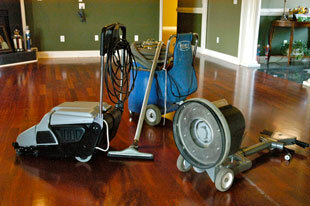 Dust is not an issue in homes where All Wood Floorcraft exercises their craft. 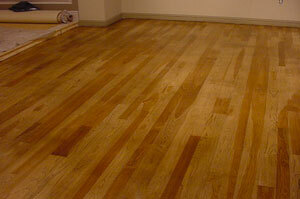 All Wood Floorcraft excels also in the installation of all hardwood floors. In past International Floor of the Year competition, All Wood Floorcraft was recognized for exceptional flooring in residential homes in Watauga and Catawba County. Richard exceeds industry standards in all aspects of installations offered by All Wood Floorcraft and is well versed in those standards having served on the national committee that writes and reviews the industry's Technical Training Manuals. His in-depth experience, knowledge and commitment to those standards makes him an invaluable lead instructor at hardwood flooring schools throughout the United States. In addition to instructing at industry schools, finish and floor manufacturers call on Richard to lead seminars, handle sensitive warranty repairs and provide professional and unbiased damage inspections, assessments and reports. Richards active involvement in the industry allows him open access to all of the nations leading hardwood floor professionals and flooring manufacturers. This enables All Wood Floorcraft to continually offer the very best materials, latest techniques and most technologically advanced finishes in the world. Exotic species and multiple media can be professionally incorporated in ornamental floors that All Wood Floorcraft can offer. Each client can rest assured that not only are their floors unique and attractive but are installed to a higher standard than industry requirements resulting in a lifetime of satisfaction. Traditional or aged original floors are treated to the very highest degree of care and professionalism as observed in the 150 year old Morganton Federal bank building or as it affectionately known locally as "the Cedars" or Tate house. A commitment to excellence is more than a slogan, it is the very principle that All Wood Floorcraft embraces in all their work, regardless of size. In addition to the various Hardwood Flooring degrees earned by Richard Conway, he has proven himself to the industry and joined an elite group, becoming one of less than three dozen certified wood floor professionals nationwide. All these distinctions mean one thing, All Wood Floorcraft will provide the highest level of professionalism and correct hardwood floor installation, repair or refinish in the Southeast. Conway has recently been recognized for his selfless contributions to the Hardwood Flooring Industry.